Objectives: The aim of this study was to investigate the influence of eccentric exercise (ECC) on the spatial mapping of muscle stiffness and creep of the upper trapezius, using a quantitative myotonometry device. Design: Two groups of 16 subjects participated in the experimental sessions. 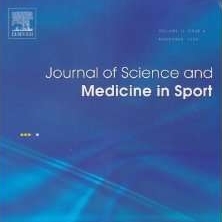 In part A, the test–retest reliabilities of muscle stiffness and creep were assessed. In part B, muscle stiffness and muscle creep were mapped before, immediately after and 24 h after ECC when post-exercise soreness had developed. Methods: The ECC protocol consisted of 50 eccentric contractions divided into 5 bouts of 10 contractions at maximum force level. Results: The relative reliabilities of stiffness and creep measurements were found to be substantial to almost perfect. Muscle stiffness for musculotendinous sites increased at 24 h after ECC while it decreased for muscle belly immediately after and 24 h after ECC. Muscle creep for musculotendinous sites decreased, and for muscle belly sites increased, immediately after and 24 h after ECC. For the first time, the present study showed sign of discrepancies in the effects of ECC on muscle stiffness and creep, underlining opposite changes in the musculotendinous and muscle belly viscoelastic properties of upper trapezius.